We've hand selected 3 artists to get super creative on an all-American classic. Each artist was given a pair of our Woody Denim to decorate in any way they chose. 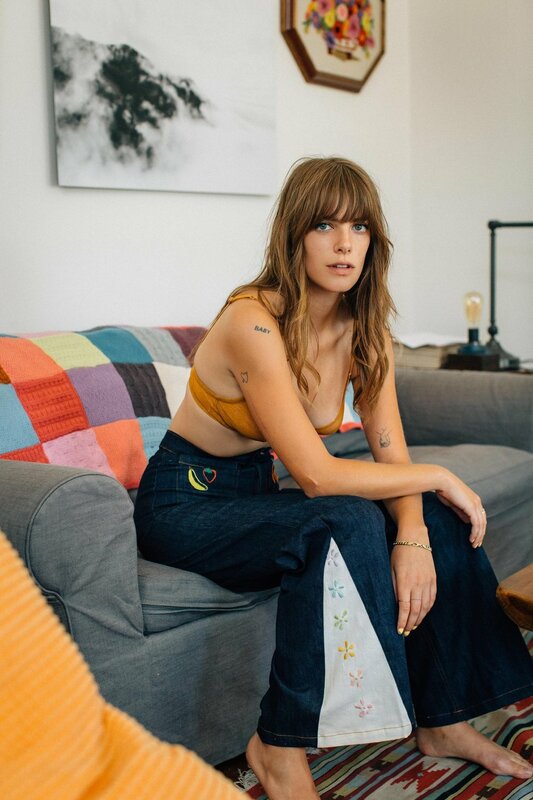 Model, embroidery artist, & owner of Poppy Undies, Emily Labowe. Check out our mini Q & A with this weeks Creative Creature! Emily: Eggo Waffle with peanut butter, banana, and honey.